We we will to do a mixed media piece. Robbie is a mixed media artist who loves working with fabric. 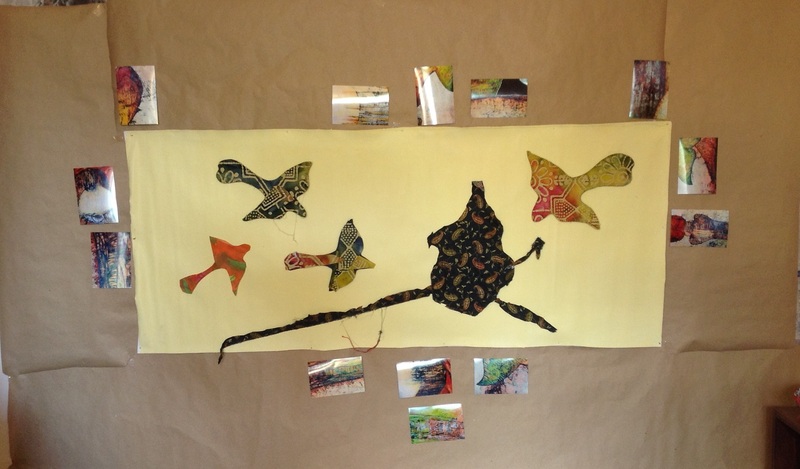 We plan to make fabric birds as part of the composition. Robbie did a couple before I arrived and we cut two out to see how they might look. The next stage is the under painting.